31 Dec 2016 update: It appears that the Minster bells are going to ring to welcome in the New Year, see the info on this link or this tweet. Until last week when the Dean and Chapter shut that down suddenly in what felt like a brutal and confusing way. I spent a lot of time reading the available information, and a couple of days after the story appeared I started to try to write about it, a thoughtful kind of piece based on the available information. And then there was more information, and more online comment and opinion, and a week on we’ve perhaps got more idea of some of the complexity of it, and I find it’s too complicated and energy-sapping to write about in detail. A lot of distress has been caused and a lot of energy has been wasted while people tried to make sense of it, the sudden withdrawal of something so many residents and visitors value. So … we’ve got the building, of York Minster, the bells that are in it, and the large group of people who ring them. And for bellringing to happen, for us all to be able to enjoy that sound, we need those things combined, and that’s the wonderful thing about it, when you hear the bells, that awareness of all that the Minster means, and all the skill and graft it took to build it, from stone and timber, and the skill and graft of the people who turned metal into tuneful bells, and the skill and graft of the people working as a team to make those bells sound like they do. And then we’ve got the Dean and Chapter, who have the power to lock the doors and take all that away. Not only to do that but to cause enormous distress to so many people. So much power they have, clearly. Reminding us that something we see as ‘ours’ really isn’t ours at all. York Minster doesn’t feature a lot on these pages, because these pages tend to focus more on the lesser-known aspects of the city and its buildings. 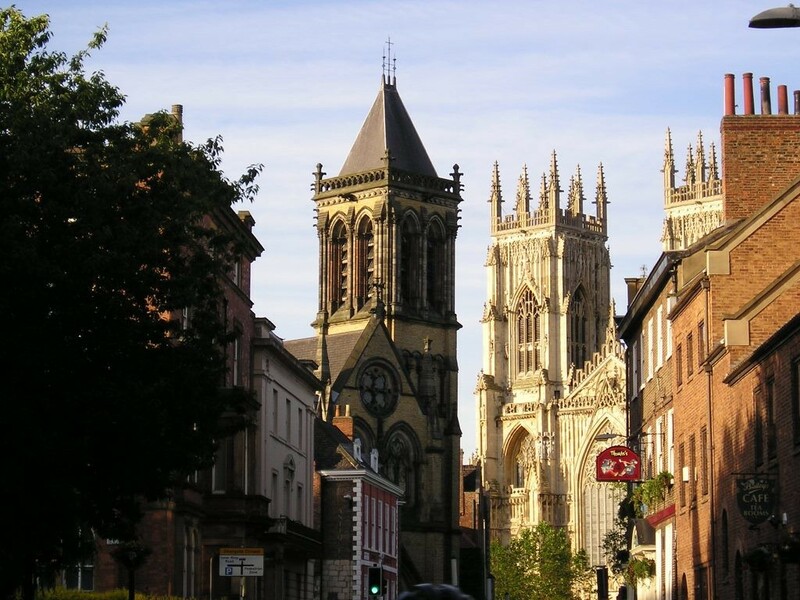 But the Minster bells … well, I have written about them. And they’ve featured prominently in those lo-fi snippets of audio I’ve recorded on my phone. Whether from just below the tower or from a distance, there’s no sound like it, full and heavy and also light and joyful, all together. All complicated, but also simple, recognisable, needing no explanation, the tradition of it, and how it reaches across centuries of community and cultural life. When things have been grim and challenging and changing, the Minster bells could lift sad hearts. The sound of the bells ringing has been a freely given thing, open to all. In what has become for many an increasingly closed-off and gentrified city anything freely available to all has more value than ever. It’s part of our cultural heritage, ‘auditory heritage‘ in this case. 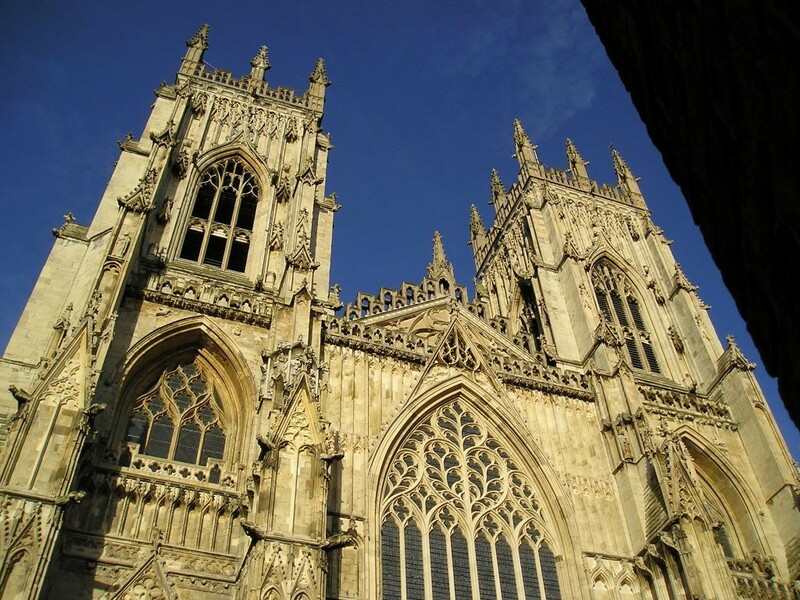 The sound of the bells is my main constant connection to York Minster, the way it reaches out into the streets beyond the walls, so I can hear it when I open the back door or stand in the garden. There’s a practice on Tuesday evenings, which I often appreciated and now listen out for. A joy if you’re passing the Minster on a fine sunny evening, with all that sound cascading around. Looking up to the tower window where the ringers are the observer/listener is reminded of the human skill and effort of a team combined, making that sound, and how many other teams have done that over the centuries, in churches and cathedrals across the land. I’ll miss that more than the ‘performances’ marking occasions, I think. Though so many of us will also miss the New Year’s Eve bells, now such an established feature of city life, and drawing large crowds around the Minster. The Minster authorities tell us they plan to have it all sorted out by next spring. Now, I’m not an expert in any of this, but it doesn’t sound like the kind of thing where a load of new volunteers can just wander in off the street and start tugging on ropes willy-nilly. I get the impression it’s a bit more difficult than that. It’s an abstract form of music to learn, once it’s in your head you never forget. Once you are party to the code you are locked into it. You need to be fairly relaxed and have a sense of rhythm and, to succeed, you’ve got to put the time in. The letter to the bellringers has been quoted in press articles, but it’s only when you see a photo of the thing, on official York Minster headed paper, that it becomes clear how upsetting and offensive it must have been to those who received it. Full of phrases we wouldn’t expect to see in this context. The kind of thing you might expect a massive commercial organisation to send to its staff. Are we daft to expect that the Dean and Chapter at York Minster would be more thoughtful, kind, appreciative, consoling in such circumstances? Perhaps we are. Change ringing began to lower in social esteem, with swearing, smoking and a barrel of beer in the tower normal. Some belfries became notorious as the meeting place of the village riff-raff, who indulged in heavy drinking and riotous behaviour. A deep rift developed between ringers and clergy, with some towers closed by their incumbents. The ringers often broke into the belfries to ring or drink and were usually very independent, reserving the right to choose when to ring. High Wycombe, Bucks in 1832… bells rung out to celebrate the passing of the Reform Bill but a few days later on the occasion of the annual visit of the Bishop the ringers refused to turn out as a mark of their disapproval at his having voted against the Bill. By 1900, a new generation of ringers had emerged and bell ringing was once again respectable and part of the church. So they’re losing decades of experience and a successful team, and causing distress to their unpaid workers and upset and annoyance across the city and beyond. Anyone interested in taking up the vacated volunteer roles might want to look out for further information on the York Minster website’s volunteering pages. There’s no mention of bellringing there at the moment (my Google search suggested that there was, but it has disappeared). Perhaps there’ll be a new page soon telling anyone interested how to ‘move forward’ with it. I’ve seen at least one person saying that they’ll be bringing a cowbell to the Minster to ring in the New Year, so perhaps we all should, and we could gather round the Minster as usual, clutching a range of small bells. With practices on Tuesday evenings beforehand perhaps. 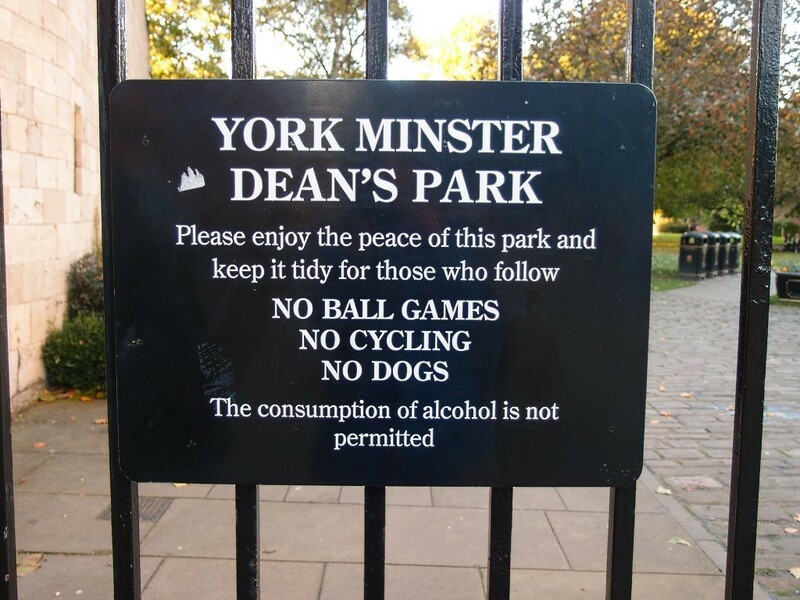 But we’d better behave ourselves, or the Dean and Chapter might lock us out of Dean’s Park. Meanwhile, just down the road, the bells continue to ring at St Wilfred’s. On this occasion, after much thought, I’ve turned off the comments option for this page, as I’m concerned that comments about the Dean and other people involved may become rather personal and difficult to moderate. Thanks for your understanding.